I decided to create a Dandelion tincture because I love the idea of it being a liver cleanser. I’m sure that I’m not alone in thinking, that the body needs a little help with detoxing. 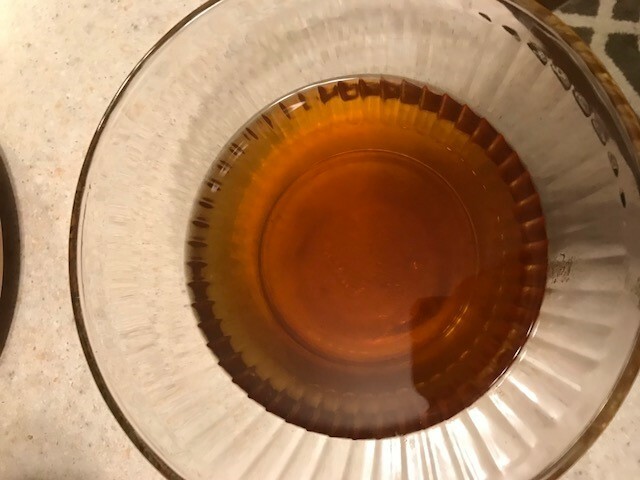 On November, 20th, 2017, I started my tincture, albeit a little nervously. I put this project off for a short while, because I didn’t want to mess it up. But once I started on it, I couldn’t have been more excited! I used dried dandelion root and flowers that I had ordered on-line, due to the time of year. There just aren’t many dandelions in Pennsylvania in November. The mortar and pestle came in handy to grind them up extra fine. Once they were ground up, I placed them in a glass jar and covered them with 100 proof vodka. I labeled the jar and set it in my cupboard. Three times a day, for 14 days, I shook the jar up. On the 14th day, I poured the liquid through a stainless steel sieve, discarded the mark and continued to filter it through a coffee filter until it ran smoothly through (it took around four times). Afterward, I poured my tincture into amber glass jars, labeled them and gifted to my family members. I have to admit, I thoroughly enjoyed this project and I’m already planning my next one!